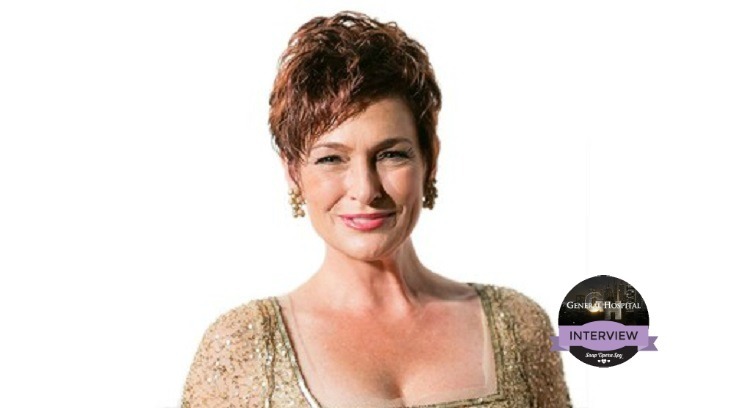 ‘General Hospital’ Carolyn Hennesy [Diane Miller] recently talked about health, fitness and Nerium AD night cream during an interview. The actress revealed that she is health-conscious vegetarian and an animal activist, among other things. Something you might not know that Cheeky Chick found out is that Carolyn would love to portray Elizabeth Barrett Browning in a remake of ‘The Barretts of Wimpole Street.” The role was originally portrayed by Norma Shearer. Talk turned to how Carolyn remains so youthful looking and the actress says there is no secret to having beautiful skin. For three years Carolyn has been using Nerium’s AD Night Cream – she learned about it from her agent. Carolyn wasn’t convinced at first to use the Nerium AD Night Cream – she already had a bathroom shelf full of beauty products. But, her agent persisted and Carolyn gave in and gave it a try, mainly because her agent’s skin looked amazing. Related: Who should Maxie be with? VOTE! Approximately three months after Carolyn started using the product fans started writing to her asking if her ‘GH’ make-up had changed, if TPTB at ‘General Hospital’ had changed the lighting for the show or if someone new was doing her make-up. Carolyn’s response to all the questions was to tell them about the night cream. Being a Brand Partner for Nerium has its perks – there are just too many to mention according to Carolyn Hennesey. Carolyn points out that you only need work with people with whom you want to work. Nerium is soon expanding into Japan. Those ‘General Hospital’ fans seriously interested in joining Carolyn Hennesy’s Nerium team or purchasing Nerium products can contact her at www.carolynlee.nerium.com. Cheeky Chick reminds ‘GH’ fans this email is for serious Nerium inquiries/purchases only. Get Exclusive Carolyn Hennesy News & Updates!